Bullmastiff is a hybrid dog breed that was established in Great Britain. 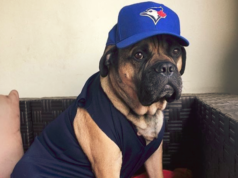 Bullmastiff resulted as an outcome of crossing between two highly popular dog breed named, Bulldog and Mastiff dog. Ensure better quality of your dog’s life by maintaining its health. There are plenty of fruits and vegetables that a Bullmastiff dog can eat. Although Bullmastiff love to enjoy meat in its diet yet the significance of fruits and vegetables cannot be denied. Owners of Bullmastiff have to pay extra attention to the fruits and vegetables that a Bullmastiff dog can eat. What Fruits Bullmastiff Dog Can Eat? What fruits Bullmastiff dog can eat is no more a mystery now. It can relish plenty of food. Serve seasonal fruits to the dog. Cut them in slices for the convenience of your puppy. The RDA (recommended daily allowance) of a Bullmastiff dog is high-quality food in the range of 3 1/8 to 4 1/8 cups. Avoid feeding the dog with cooked bones. Cooked bones have the potential to harm the lining of the dog’s stomach. What Vegetables Bullmastiff Dog Can Eat? Let’s find out what vegetables Bullmastiff dog can eat. There is a huge variety of vegetables that Bullmastiff dogs can enjoy. However, consumption of some vegetables is harmful to the dog as these may lead to stomach disorders and other health issues. Feed the dog with smashed potatoes, carrot etc. It is better to divide the dog meal into portions, at least two times a day. Apple and mangoes are among the favorite fruits of Bullmastiff dog. You can serve them either in purry form or cut them in slices. Blueberries are quite beneficial for the Bullmastiff dog. Feeding dog on blueberries would diminish the risk of cancer, cardiovascular diseases and delays aging process as well. Smashed potatoes are one of the favorite vegetables of Bullmastiff dog. It is incredibly delicious in taste and is a rich source of carbohydrate. Zucchini and carrot are also liked by the Bullmastiff dog. Owners should serve it in raw form. 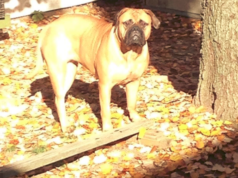 Bullmastiff dog is highly protective in nature. They fight well for the safety of their owners. The diet and nutrition of this amazing pet should be well maintained. It has a genetic predisposition to various diseases such as cardiovascular diseases, allergy, stomach disorders, cancer etc. There are certain fruits and vegetables Bullmastiff dog should not eat. These include grapes, raisins, mushrooms, garlic, onion, cherries, and currants. In addition to this, apricot, raw green potato, rhubarb, tomato plants, and apple seeds should be avoided. The calcium level of the body gets depleted Bullmastiff dog if you feed them on Rhubarb. Likewise, the onion toxicity can be an outcome of onion intake. Chocolate contains theobromine which is known to cause diuresis. Moreover, it leads to the stimulation of heart activity. 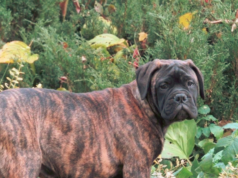 Get to know more about the diet and nutrition of your beloved Bullmastiff dog. 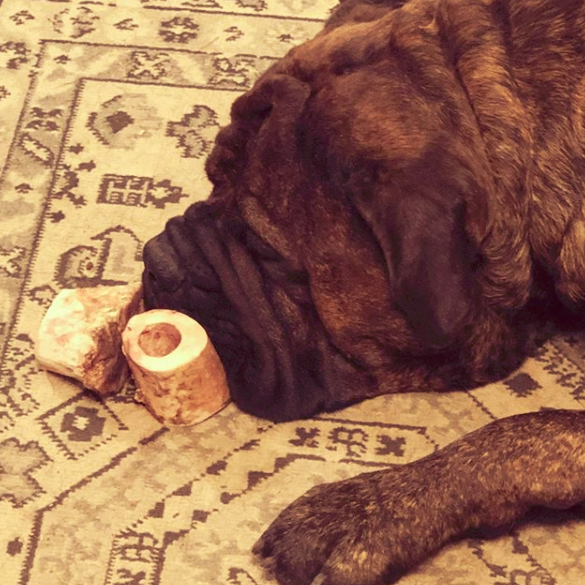 Read Bullmastiff dog calorie requirement and stay tuned to explore more!